This work presents the first results of carbon isotope (δ13C) analysis of seeds (Triticum dicoccum, Triticum aestivum/durum, Triticum cf. spelta and Hordeum vulgare L.) from archaeological contexts from the settlement sites of A Fontela and Castrovite in Northwest Iberia, which cover a chronological range between 1050 cal BC and 25 cal AD. In addition, 142 present-day wheat seeds from 16 plots cultivated in 2014 and 2015 across this region were analysed. The results obtained for A Fontela and Castrovite were − 23.6‰ (between − 25.3 and − 21.4) and − 24.0‰ (between − 26.6 and − 21.8), respectively. Taking into account changes in the isotope composition of atmospheric carbon (δ13Catm), the Δ13C values were 17.5‰ (A Fontela) and 18.0‰ (Castrovite). In Castrovite, differences between storage facilities were detected, which could be related to the exploitation of different areas for cultivation, possibly indicating a family-based organization of agricultural production. This work was supported by a FPU grant at the Spanish Ministerio de Educación, Cultura y Deporte (AP2012-1353) and part of this research is included in the PhD Thesis of Adrián Mora-González “Irrigación y secano en el Mediterráneo Occidental (III-I milenio A.N.E. ): un estudio isotópico”. 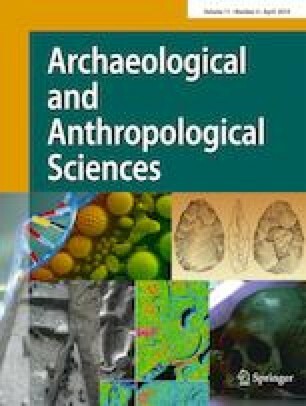 This research has been conducted within the framework of the HAR2015-66009-P “Arqueología y Química. Reconstruyendo los hábitos alimenticios en la cultura de El Argar” funded by the Spanish Ministerio de Economía y Competitividad, the Project RNM-8011 and the research groups RNM309 and HUM274 (Junta de Andalucía). The archaeobotanical studies of A Fontela and Castrovite were undertaken in the project “Paleoenvironment and Paleoeconomics during the 1st millennium BC”. We also thank Xulio Carballo Arceo, Josefa Rey Castiñeira and Cliodhna Ni Lionain for valuable comments on a draft of the text, leading to measurable improvements.